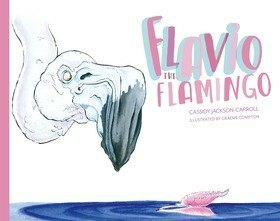 After penning numerous poems, often humorous, over the years, Cassidy Jackson-Carroll fulfilled a burning passion by writing her first children’s book, Flavio the Flamingo. Often on the search for adventure, Cassidy has travelled extensively and found herself in places as remote as Kokoda, Kilimanjaro and Kathmandu. 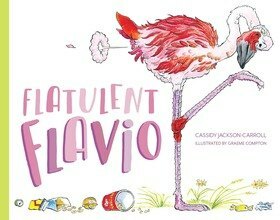 Her wanderlust often allows her to encounter varying animals, part of her inspiration for creating the character of Flavio. When not globe-trotting around the world, Cassidy spends her time inspiring the minds of the younger generation (she is known as Miss J-C in the classroom), and patrolling the beaches of Rainbow Bay, Queensland, where she is a Surf Life Saver. Cassidy is currently trying to perfect her ‘cross step’ skill on a longboard, and hopes to kick a winning goal in her first season of AFL.